Enjoy the sky above with a sleek new frameless lantern room light with full thermal break. Offering views of blue skies and starry nights without obstruction, the InfiniLANTERN lets natural light flood in without a frame to block your view. Designed with the latest thermal technology, the InfiniLANTERN helps to create unprecedented insulation levels for any property type. At Arkay Windows we provide one of the slimmest roof lantern designs available on the current market with allows for increased light transmittance to fill a space with light. Perfect for rooms in the centre of a building that don’t have windows or that are slightly darker than others, the roof lantern helps inject brightness and vibrance to lift the look and feel. Without using bars, which standard roof lanterns include, the InfiniLANTERN has a frameless feel and add a touch of elegance to a project. 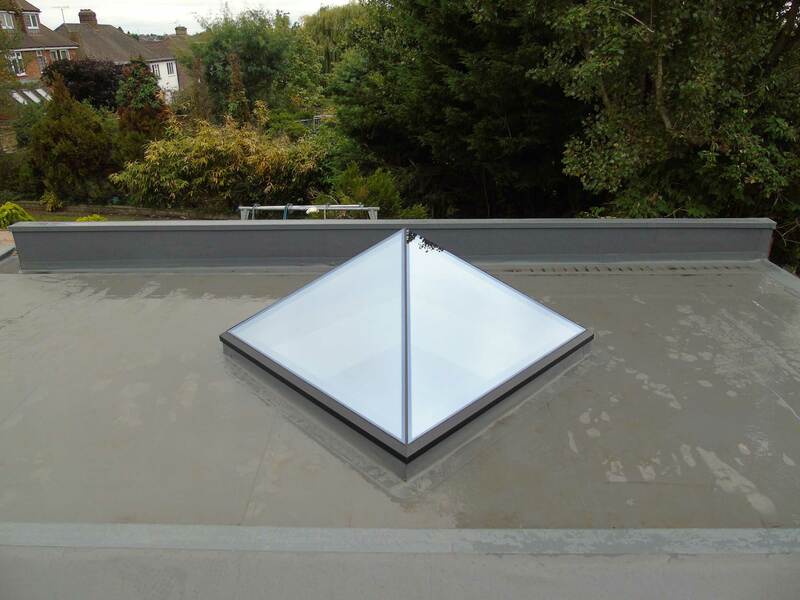 Able to withstand harsh conditions, the roof light is also extremely thermally efficient, keeping warm air inside and reducing carbon emissions. The sleek glass to glass joins give the InfiniLANTERN the frameless design that makes them so renowned as well as a stunning focal point, with an attractive modern finish. They provide excellent functionality as well as an attractive aesthetic. The InfiniLANTERN roof lantern is low maintenance and is designed with self-cleaning and solar reflective glass. Whilst allowing increased natural light, they are intelligently designed to keep the suns UV rays to a minimum. You can take a virtual tour of our tour room to get an insight into the products and samples we have available for you to come and view. You can arrange a visit simply by getting in touch with a member of our friendly team. Take a look at our InfiniLANTERN video to get a good view of the product and how it works. As you can see, the roof light is a perfect way to inject light into a building without needing windows or glass doors. Roof lights also work well in conjunction with other glazing products such as glass sliding doors, to shine a light on a particular area of a room for example, above a dining area or seating space. One of the benefits of installing the InfiniLANTERN include increased levels of thermal efficiency. This means that they trap warm air inside of the property rather than letting it escape into the atmosphere. This is particularly beneficial for conserving energy and lowering your carbon footprint, contributing to a greener environment and lower costs. The benefits of increased natural light include the illusion of more space, making a room feel larger, brighter and more spacious. This elevates the atmosphere and ambience of a room, making it more inviting and resulting in people gravitating towards spending time in that space. The largest unique factor of the InfiniLANTERN is the frameless design that allows for unobstructed views of the sky above. This works well during night as well as day, allowing twinkly star light to take centre stage on evenings where the sky is clear of clouds. Enjoy the colours of sunrises and sunsets illuminating your room, creating a different feel at different stages of the day. Take a look at our brochures. Here you fill find a downloadable brochure for the InfiniLANTERN that includes technical specification and information for your project needs. A roof lantern, also known as a sky light, is a luxury addition to a building that looks great inside and out. They blend seamlessly with a range of styles of architecture, from contemporary to traditional. Adding natural light into a space without having to rely on artificial lighting means that the result is a light and airy space that people will enjoy. A roof lantern is a rooftop architectural structure that has the main aim of allowing increased natural light into a building. As a highly sought after element, they are popular in modern conservatories, orangeries and extensions. Architects are most likely to feature them in the centre of a large house where natural light sources are limited. Roof lanterns such as the InfiniLANTERN are used in developments and projects in order to maintain privacy whilst allowing unlimited light. This is particularly useful in built up and urban areas or for rooms in a property that have a particular purpose such as a home study. 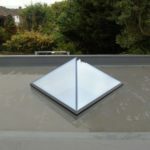 You can contact us today for a free quote for your roof lights today. Whether you’re looking for the InfiniLANTERN system to be implemented into a residential or commercial project, we can assist. Simply visit our contact page and fill out our online contact form. A member of our expert team will be able to answer any questions you may have. We are happy to recommend or advise on the most suitable products for your needs and requirements. Are sky lanterns water tight? 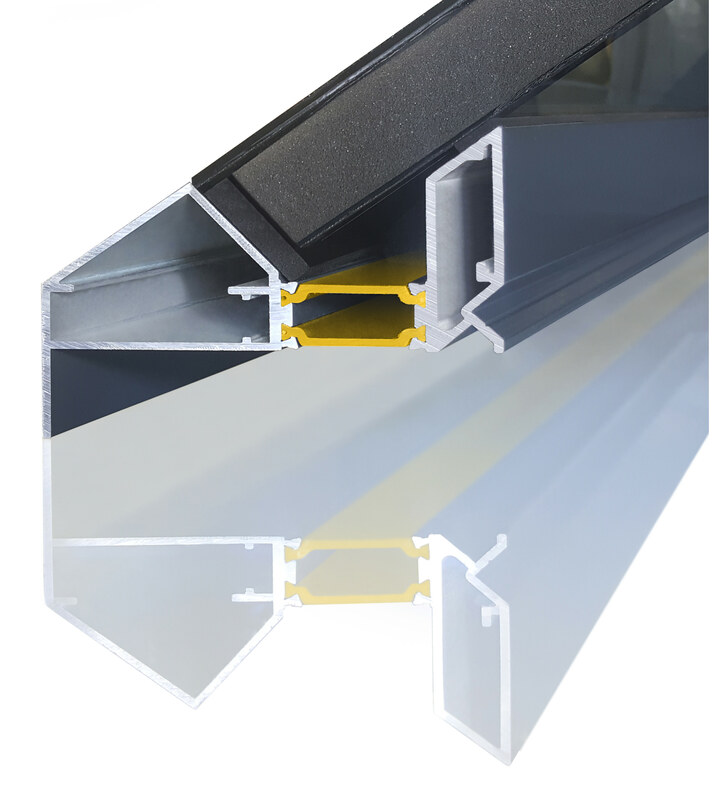 The InfiniLANTERN is a DOW 3362 structural grade sealed double glazed unit, meaning that it keeps moisture out successfully, even in the most adverse of weather conditions. You can have complete peace of mind that your roof lantern will keep a property warm as well as dry. 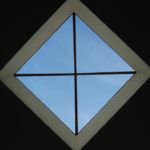 Our roof lanterns feature exceptionally strong and robust glazing that is toughened and polished. Each of our roof lights are durable and long-lasting, making them a secure and safe selection for your project. What colour options are there for my roof lantern? 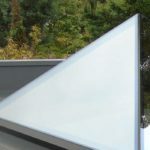 You can select from a range of colour options for your roof lantern including Slate Grey, Anthracite Grey and Jet Black. There is also the option of dual colours, including Agate Grey for the exterior and White for the interior, or Jet Black for the exterior and White for the interior. The choice is yours.